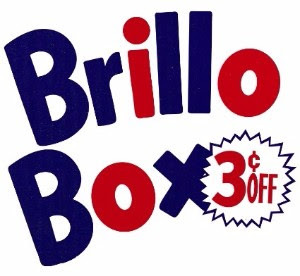 Director Lisanne Skyler recounts the story of the Andy Warhol yellow Brillo Box sculpture that her parents bought 40 years ago for $1000 and which recently resold for over $3 million. In the process we get a sense of the course of the art world over the last 50 years. Light and breezy film is an enjoyable romp. It’s a film that puts a smile on your face as we can't help but chuckle at how things went down, beginning with the launching point of how Skyler's father, who used art as not only decoration but investment, decided to trade up and did a deal for a painting of an artist named Peter Young (who?). As much as I like the film, and I like it a great deal, I can't help but think that this could have been something more. There is some sort of larger story here about art and the world. Yes the film covers some of it, But there are threads that seem to be hanging, notions of how art fits into the world and how collectors drive the market or shape tastes. I suspect that the film’s 40 minute run time which puts it awkwardly between a feature and a short is responsible for that. Frequently I wanted to know more, about her parents collecting, of Warhol from their view, and just more of what some of the experts were talking about. And please don't read that as my disliking the film, rather see it as my liking the film so much that I want to see more. I would have liked a more complete meal instead of this nibble that left me still hungry.